Let the innovator in fluoropolymer lining and coating technology solve your corrosion or high purity challenges. Electro Chemical offers high performance coating solutions for process vessels, storage tanks, pumps, reactors, columns, valves and other applications for companies in a wide range of industries. 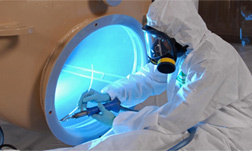 Field Service Repairs for fluoropolymer lined storage tanks, fiberglass (FRP) repair, secondary containment refurbishment and transport equipment by our OSHA trained and experienced technicians. Since 1984, Electro Chemical has been providing the semiconductor industry with fluoropolymer lined fluid containment systems that ensure the integrity of ultra-pure chemicals from the point of manufacture to the point of use. All systems meet all ISO, IMO, USDOT, and ASME Code Standards for transport and storage of bulk chemicals. Since 1949, Electro Chemical has been a leader in the war on corrosion. We pioneered the first fluoropolymer systems for corrosion control in the 1960’s, and currently offer a complete line of time-tested fluoropolymer sheet lining, performance coating, and rotolined systems. 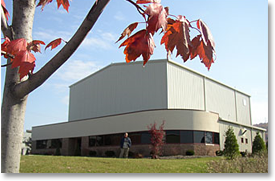 The company was founded in 1949, and through the years has pioneered the use of fluoropolymers, engineered plastics, and other lining materials to solve a myriad of challenging chemical handling and storage problems. As a full service, turnkey supplier, we provide complete system solutions for both new and existing equipment. 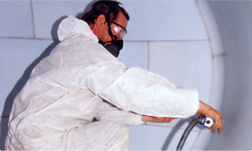 Our experienced teams are available for field deployment when it is impractical to do the work at our facility. Electro Chemical Engineering & Manufacturing Co. has been an ISO certified company since May 2008, and we have earned the ISO 9001:2015 certification upgrade.